QUEANBEYAN Art Society changes the art in the Monaro Street window near the bridge every month and this week alone, two members, Diane Alder and Barry Cranston, have sold their works to passers-by. 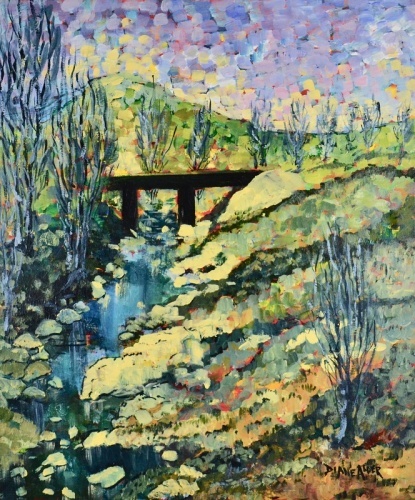 Early in the week Diane Alder’s painting “Yarralumla Creek” was bought by a Queanbeyan buyer for a present for his wife who had admired when walking past the window. Then, Cranston’s work “Molonglo Panning” was viewed in the “Window Gallery” by visiting Colombian businessman Milciades Cadena, who snaffled it up for his art at home. Cadena liked the Aussie style of panning gold, rang the number in the window and was able to collect the painting within the hour for its trip back to Colombia. 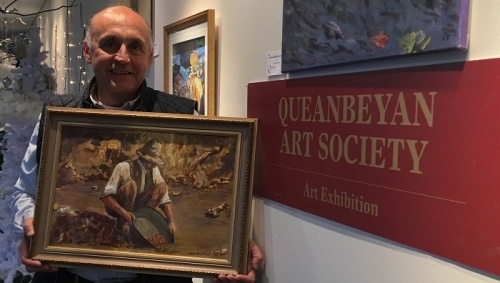 The next Queanbeyan Art Society exhibition at the gallery under the bridge in Trinculo Place will be “Paint Like A Master”, opening at 2pm on Sunday, August 5. The show runs until September 29. 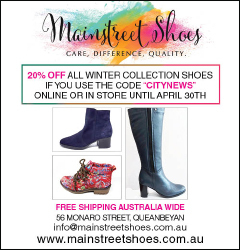 The society will stage the 11th Annual Art Show with, for the first time, a market, in City Walk, Canberra from September 22 to October 1. Helen dose this mean I can claim to be a ‘International Artist’?